Jane has been exhibiting in group and solo shows since 1998. She has been selected as a finalist in 8 Glover Prizes and was recently highly commended in the Hadley’s Art Prize 2017. Her works are held in private and public collections including Artbank, Curtin University, City of Fremantle and The Westin Hotel Group. She is among 50 artists featured in a book, due for release in October 2018. Written by Amber Creswell Bell and published by Thames & Hudson, the book celebrates contemporary Australian landscape painting. 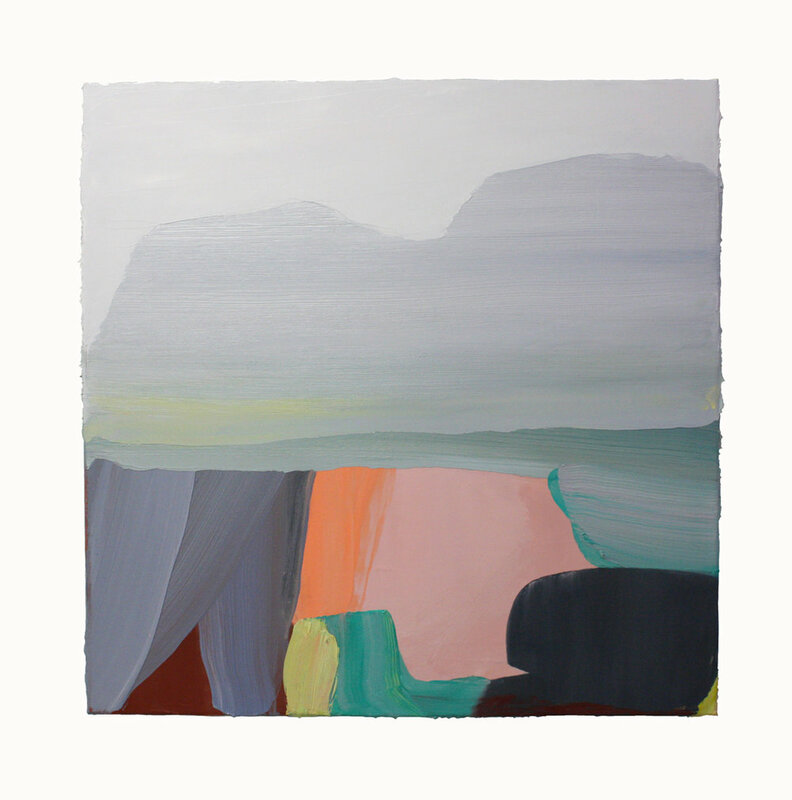 "As a landscape painter, I am interested in notions of identity and connection to place. 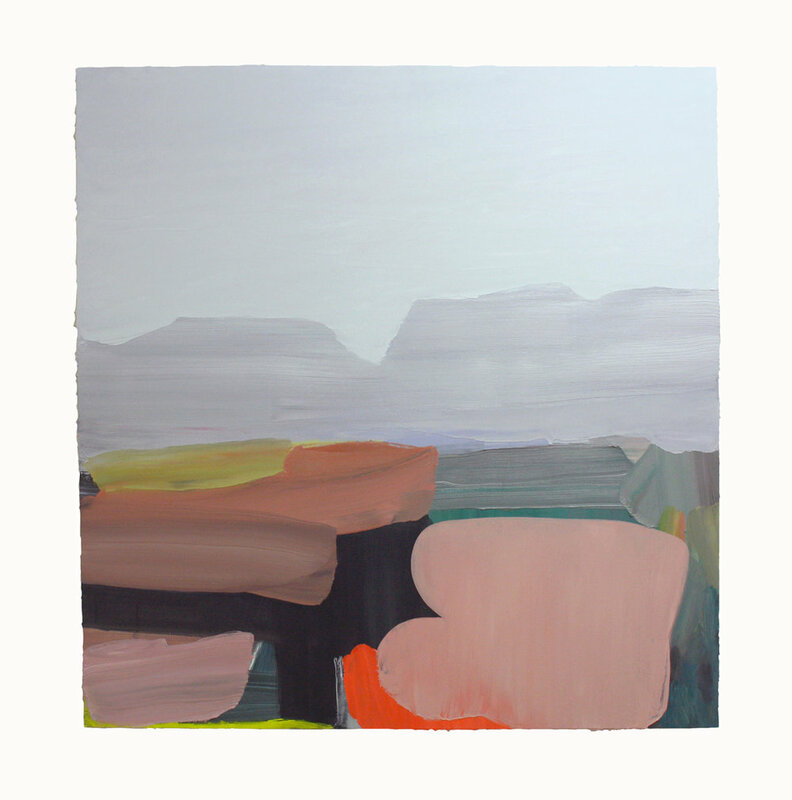 This new body of work was inspired by a recent trip to Karijini (Banyjima name for the Hamersley Range) situated in the Pilbara region of WA. Within the range is the stunning Karijini National Park - traditional home to the Banyjima, Kurrama and Innawonga people. Nearby lies the ghost town of Wittenoom - a place of significance to my grandparents and dad who moved there in 1947, unaware of the health risks this newly established asbestos mining town would later pose. Wittenoom is a place cemented into the psyche of WA. It’s an ongoing industrial disaster of epic proportion, inspiring Midnight Oil’s anthemic song, Blue Sky Mine. For me it has always been a place of intrigue. As a child I heard adults talk – I sensed their anxiety. Maybe hearing the words ‘ghost town’ sucked me in, or the characters who’d come by Nan’s place with beer, leathery faces and funny stories - ‘Nor’westers’ Nan called them. Pop died from Wittenoom’s blue asbestos dust when I was a baby. Nan was a nurse/midwife in Wittenoom and various other towns - eventually settling in Broome. She was an amazing gardener with a keen interest in bush medicine – insect bites and sores were always treated with her concoctions. This probably came about through friendships formed with Aboriginal women over the years – some of whom I recall visiting on road trips to and from Broome as a child in the 1970’s. At the age of about six, I remember staying with Flo and Frank who lived somewhere near Point Samson in a rusty corrugated iron shack. It was pretty rough when I think about it. They were generous people and meant something to my Dad as a young boy in Wittenoom. Their son Jonny was his friend. I remember they camped outside with Dad - giving up their own bed for Mum, my sister and I. 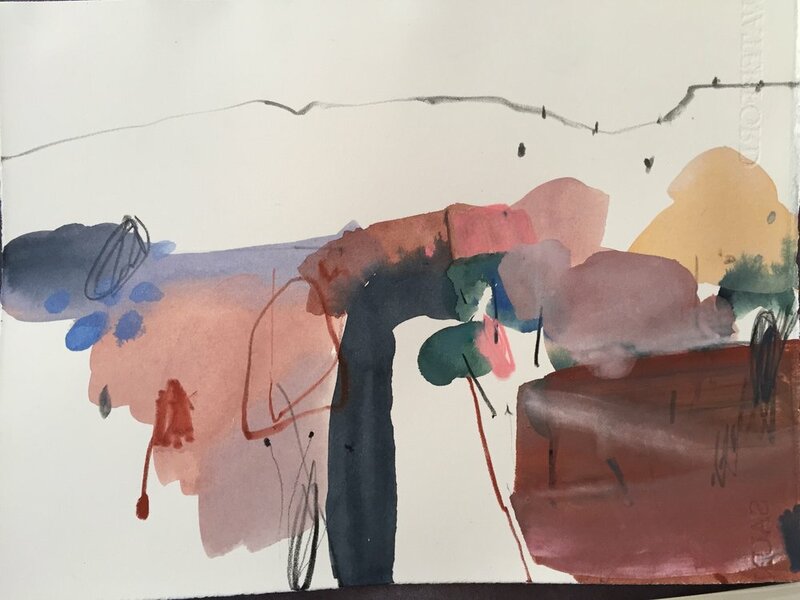 Within this body of work, I aimed for pared-back compositions about colour, open space, deep gorges, shadows, lungs/breath, silence and connection to family now deceased. Nan was lucky. She lived into her nineties despite using asbestos tailings as mulch around her Wittenoom roses. She was an optimistic, capable woman who instilled in me a great respect for Aboriginal people’s knowledge, resilience and humor. She would be happy to see my work displayed beside the remarkable Tjanpi Desert Weavers - many of whom are from the Ngaanyatjarra Lands of Western Australia".